If you've wondered where I've been, I've decided to take another bit of vacation. My grandmother has come to visit us in Denver from Indianapolis, and the boys and I are having a great time with her! We've been giving her the grand tour of Denver and nearby Colorado towns, and she's been giving us tips on solving crosswords, jigsaw puzzles and Solitaire! We've been swimming, cooking, shopping, working on a few household projects, and chatting around the fire pit in the evenings. As summer draws to a close in one week, I have just decided to enjoy this precious time with my children and my Grandmother. Life is to short not to take time to stop and build memories! Hope you all are also having a fabulous summer! I am so glad to see that you have your priorities right! Family is so super important, I couldn't agree more! And what's interesting is that it's also what we tend to take for granted the most too....quite the contradiction, isn't it? 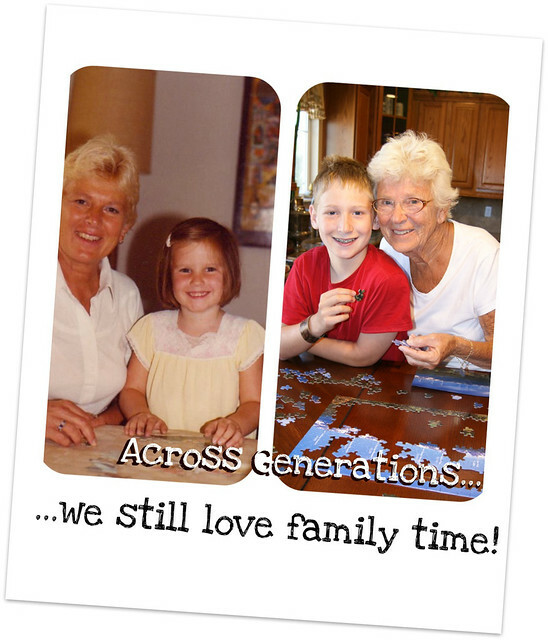 Enjoy your time with your grandmother!